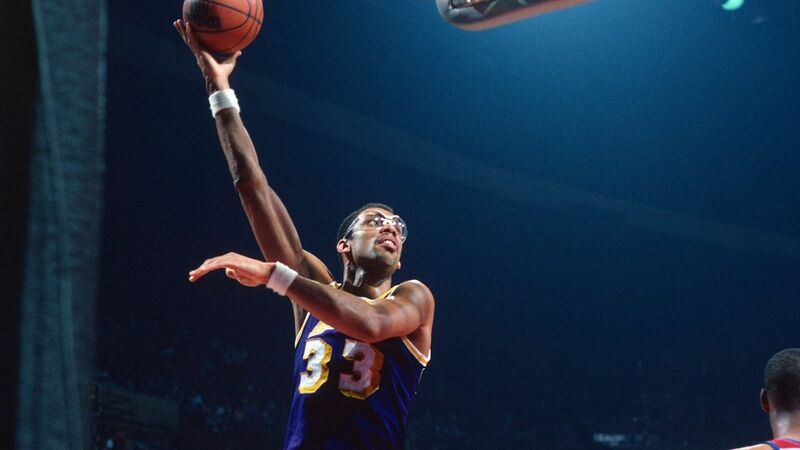 What is Kareem Abdul-Jabbar doing now? He is the NBA’s all-time leading scorer and a six-time NBA champion. He is a regular contributing columnist for The Washington Post and Time Magazine. His new political book, Writings on the Wall – Searching for a New Equality Beyond Black and White, will be released in August by Time Books. The basketball legend has found a new passion: penning mystery novels. After 50 years as an athlete and activist, the New York Times bestselling author has migrated from nonfiction to fiction with Titan Publishing releasing his first fiction piece in September 2015 titled Mycroft Holmes. The novel is set in the 1870s, a few years after the Civil War. Mycroft Holmes is a fictional character who first appeared in the action/mystery stories written by Sir Arthur Conan Doyle. He is the savvy older brother of detective Sherlock Holmes. Abdul-Jabbar adapted the character and gave him life. He contacted screenwriter Anna Waterhouse to help him tell the story. Abdul-Jabbar’s characterization of Mycroft Holmes is somewhat representative of aspects of his life. In its original space, Mycroft was only mentioned five times and he was known for his role of helping Sherlock in his endeavors. Now he has a backstory. Taking the leap into the fiction world was not an easy task for the hook master. With this book, he’s joined the likes of other novelists such as Walter Mosley, who happens to be Abdul-Jabbar’s inspiration and literary hero. The two were at the NYPL event for a meeting of the minds. They candidly chatted about jazz, black culture, sports and the art of writing mystery. The 69-year-old New York native just might be a renaissance man, too. He’s talented and cultured in many facets of human endeavors. He’s deep into art, history, war, politics, philosophy and jazz. Abdul-Jabbar credits his father for developing his level of concentration for the game of basketball and compares jazz musicians to basketball players. “Jazz musicians have to learn how to react to each other, what they do in time just like on a basketball court. So that whole thing about understanding the timing of how it’s supposed to evolve – learning that from a jazz musician really helped me as a basketball player. Playing basketball, the person who has the ball, they’re the soloist and you have to support that person. Then when they decide to give it up, you have to be prepared to react. That spontaneity of reaction and the spontaneity of understanding what’s going on in the creative process it serves both disciplines very well,” Abdul-Jabbar said during the NYPL event. Kareem Abdul-Jabbar, No. 33 of the Los Angeles Lakers, shoots over Rick Mahorn, No. 44 of the Washington Bullets, during an NBA basketball game circa 1983 at the Capital Centre in Landover, Maryland. Abdul-Jabbar played for the Lakers from 1975-89. 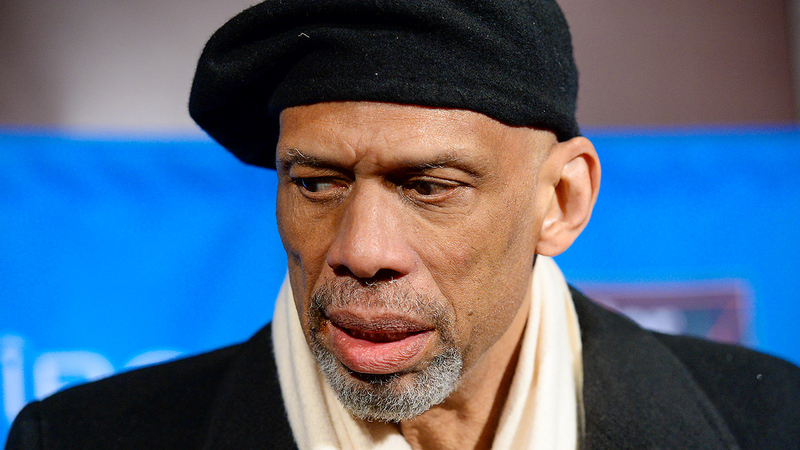 Abdul-Jabbar also compared his switch to fiction to Mosley’s ability to connect real-life situations to black culture. “It enables me to get into different periods of time and different situations and talk about universal truths, much the same as what happens in your stories when you start talking about the LAPD and their relationship to the black community,” Abdul-Jabbar told Mosley. Mosley is the author of more than 46 critically-acclaimed books. In 2016, Mosley was named grand master by the Mystery Writers of America, becoming the first African-American author to earn the title. “No, it was happening before you knew about it. It’s been happening for 450 f—— years! It’s so incredibly evil to talk about it like it just started happening,” Mosley said. In 2012, Abdul-Jabbar was appointed to be the U.S. cultural ambassador by then-Secretary of State Hillary Rodham Clinton. An audience member asked if he has ever entertained the idea of going into politics. In 2009, the basketball great told ABC News he had been living with leukemia for nearly a year but no longer considered the disease a death sentence. He was diagnosed with Philadelphia chromosome-positive chronic myeloid leukemia, a rare cancer of the blood and bone marrow. Abdul-Jabbar is undecided about writing a sequel to Mycroft Holmes.